Why would you chose a yachtbroker's services? Our 20 years experience helped us buillding a 15 000 potential buyers file, to strongly develop our international sales and to be able to control the course of the transactions with our own process. We also developped our image to become a reference in advising international clients about blue water cruising boats. At the begining, 3615 AYC was the access code to reach the very French "Minitel" page of the company, then, AYC was the first french brokerage company to launch a website in 1996. Then the world wide web allows us to promote your boat worldwide, in french or in english. 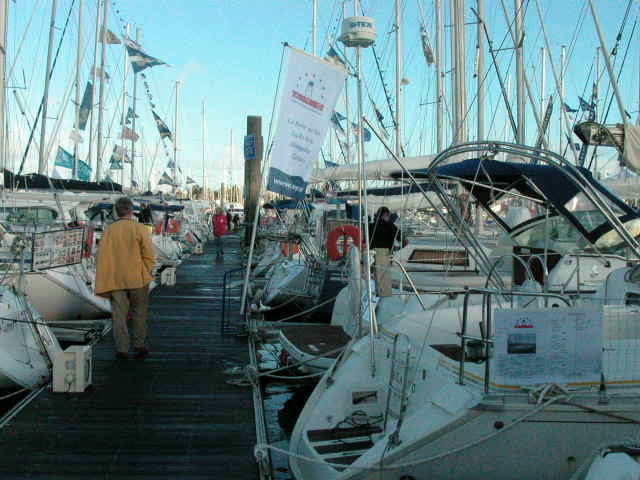 "www.ayc.fr / www.ayc-yachtbrokers.com" receives more than 12 000 unique visitors per month and we advertise all the boats we have for sale on 17 other international websites. When you entrust AYC with your boat sale, you increase the selling opportunities and also maximise your chances to sell your boat at her best price. A buyer who lives far from the boat needs a local, independant and objective contact point but also a qualitative and complete photo report. He will also appreciate our logistics to feel confident and the funds will remain on our escrow account until the sale's completion. The foreign market represented 70% of our sales during the 2014-2015 season. We can also market one-of-a-kind and atypic boats, that we are able to value to the possible purchasers. We help you to fix a correct displayed price depending on your boat specifications and on the market conditions. We have several tools to help us refine the boats prices, that we can adjust with our experience. We come to your boat to get an exhaustive inventory, a complete photo report and to learn a bit more about her history. This allows us to compile the marketing file and to capture ads with details. If the boat is located abroad or too far away from our bases, we ask you to provide a detailed description and a photo report. We also add the owner's words to our web pages. This tells a bit more about the boat, her qualities and your reason for selling. Your interest: Your peace of mind; by entrusting only one broker, this one is fully involved in selling your boat, using all the means at his disposal to find a client. Our fees are owed only when the sale is conclude, they are the same for the three types of agreements. We can also help the purchaser to find a transportation company, a sailsmaker, a shipyard to equip your new ship or even a marina docking. Our abilities allow your baot advartising to we wider and to secure the transaction through our administrative process. This process, based on our 22 years of experience, prevents the sellers and purchasers to encounter issues after the sales act are signed. We also can explain to the owner that our service is part of the price and that they enjoy our abilities for free, preventing heavy negociation.